HOW DID THE CANDO START? by Persons with Disabilities and Special Needs. 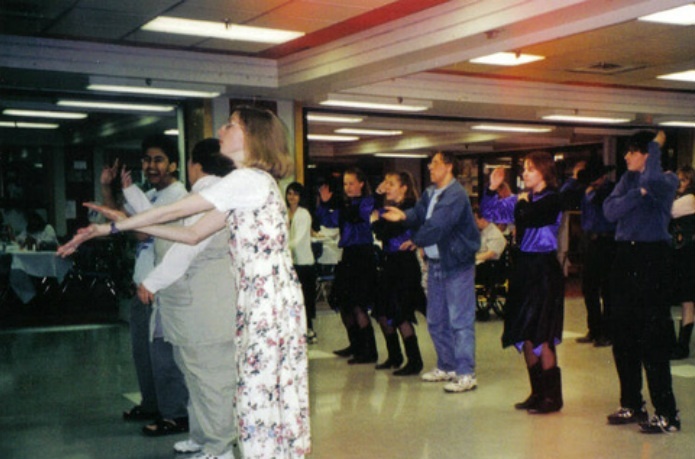 Our main function is an educational, interactive social event for persons facing any type of disabilities along with their families or caregivers. Give the opportunity to all those with Disabilities and Special Needs to enjoy an event that is theirs . To thank everyone for all their accomplishments through out the year without feeling isolated. Increase self-awareness of persons with Disabilities and Special Needs and of their potential. Increase the self-esteem of persons with Disabilities and Special Needs through participation. Establish long-term beneficial relationships between persons with Disabilities and Special Needs and Community Workers. Unify various groups in the community that share common goals throughout the year. This interactive evening has been made possible for the past eighteen years by, Civic Centre, C.N.C., the City of Prince George, local service clubs, the business community, some private donations, several local bands, as well as the hard work and dedication of the Can-Do Committee . 2017 there were 200 people attending this event..